The majestic Mudhols made in india for sure! You are here: Home / Breed Profile / The majestic Mudhols made in india for sure! India is home to about 20 dog breeds, but sadly none of them are recognised internationally. Rajapalayam, Chippiparai, Kombai, Kanni, Mudhol Hound, Rampur Hound and Caravan Hound are some of the most popular ones. The state of Karnataka is blessed with three such indigenous dog breeds, of which, Mudhol Hound is one. The breed is a rare desi dog found in and around Bagalkot and Vijayapur districts of the northern part of Karnataka. Mudhol Hounds are also called Karwani and are a common pet amongst villagers in India’s Deccan Plateau. In the beginning of 1900, Raja Malojirao Venkatrao Ghorpade of the Mudhol Royal Family officially developed the Mudhol breed. The breed drew public attention when the Mudhol king gifted two pups to King George V in 1937. Arjunsinh Jadeja, a relative of Ghorpade family, observes that a similar breed of dog known as ‘Maratha’ was entombed near the tomb of Chhatrapati Shivaji Maharaj at Raigad in 1680. Many people believe that the breed was imported from Persia. 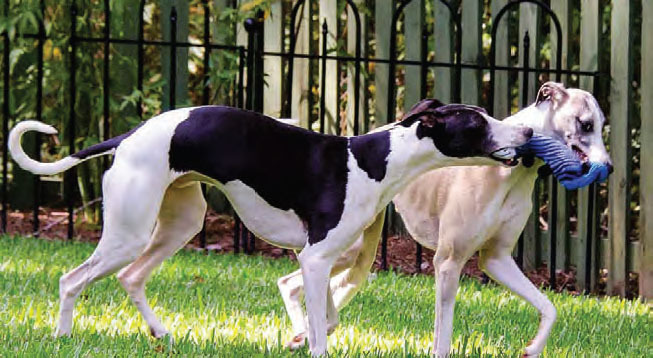 But there are traces of the breed with the characteristics of Mudhol Hounds existed in India. It is believed that the breed must have been around for thousands of years but known by different names. 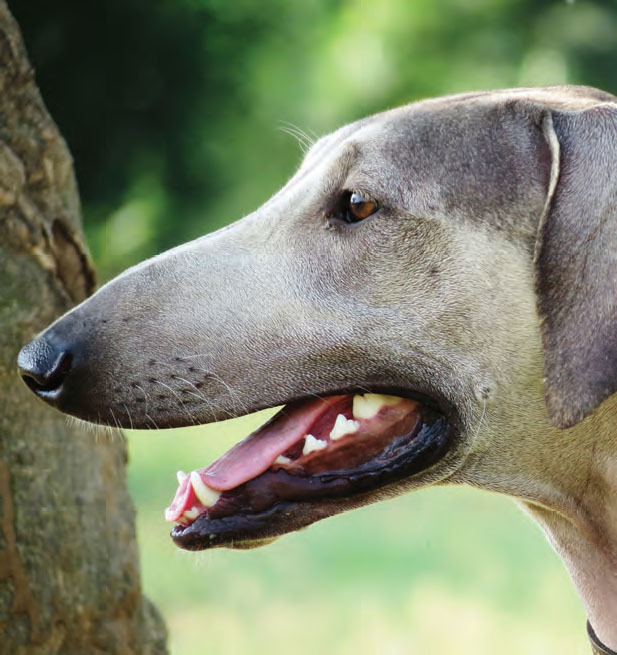 According to Canine Research and Information Centre (CRIC), Mudhol Hound is the result of crossbreeding amongst Greyhound, Saluki and Sloughi. When invaders came to India hundreds of years ago they brought dogs who eventually developed next generations by crossbreeding with local breeds. At first sight, they give impression of grace and symmetry and of great speed, stamina and endurance coupled with strength. Lean, long-legged and muscular, the Mudhol is perfect for the sub-continent’s climatic conditions. There are two coat varieties—one with an entirely smooth coat and the other with silky featherings on the ears, legs, and tail. The head is long and narrow, broad between the ears with a tapering muzzle. The nose is large, and may be black, liver, or flesh coloured. The males are 68–72 cm in height at the withers and the females are 64–68 cm tall. The chest is strong and deep with well sprung ribs. The abdomen is tucked in. The hind quarters appear wide and well-muscled. The tail is strong at the base, not too long, set low and carried in a natural curve. Pups between the ages 8 -12 weeks should be given 3 meals a day. Pups between the ages 6 months – 1 year should be given two full meals a day. Adult Mudhols also do well with two full meals a day. Puppies should be given top-quality brand puppy food. You should cut down on ‘people food’, as it can cause mineral and vitamin deficiencies, tooth and bone concerns, and may create extremely finicky food choices and obesity. Excellent-quality dry dog food ensures a well-rounded diet. You may mix it with broth, canned food, or water. Mudhols also love to eat fruits and vegetables, cooked eggs, and cottage cheese, but these dishes shouldn’t add up to more than 10 percent of their daily calorie intake. Daily exercise is advisable. It’ll help Mudhols stay in shape, recharge their brains, and maintain good health. Supervised fun and games would cure most of their instinctual urges to retrieve, dig, chew, and chase. Frequent brushing would help reduce shedding and keep them clean. Inspect for ticks and fleas every day during warm weather. Sometimes mudhol hounds don’t need to be bathed more than a few times per year. Indian Army has been using foreign breeds like German Shepherds, Labradors and Great Swiss Mountain Dogs. But now for the first time, they are all set to induct Indian breeds. According to a report in The Times of India, the Army’s Remount and Veterinary Corps (RVC) center in Meerut has almost completed training of six Mudhol Hounds. These Mudhol Hounds are likely to be inducted as guard duty and posted in Jammu & Kashmir. Their robust and athletic body is perfect to serve the nation!